An artisanal shield crafted with blue glass. reduces all forms of non-physical damage. Similar to the Wooden Shield, the Loch Shield does little to defend you from physical attacks. The Loch Shield's true purpose is to defend you from all other types of non-physical damage, which it does a tremendous job at. Holding L2 will bring the shield up to block attacks, but it will take off stamina while absorbing hits. Try to keep the shield up only when necessary, since you'll recover stamina by a much slower amount while defending. If you're not careful and run out of stamina while holding L2, your guard will be broken and you'll receive additional damage. 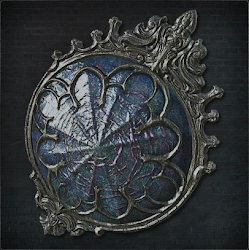 Treasure in (Main Game): Research Hall, after you use the Eye Pendant to use the lift, in the area after defeating Ludwig. You then proceed to the top of the tower and use the device that moves the entire area up. Once you head back down, from where the lamp at the start is there is a secret path to the right. Head up the lift, and on the second lift there's a hidden path you can go down. 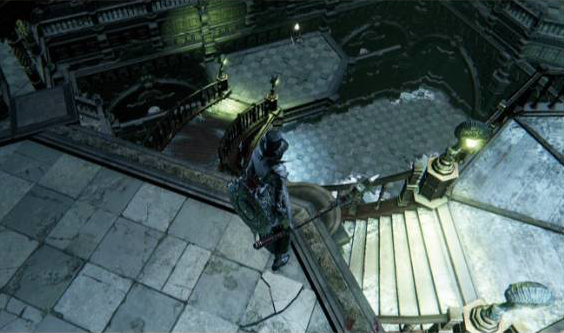 Follow the stairs and there is an item on a platform where the Loch Shield is. Durability of the weapon depletes when used. This means hitting an enemy, destructible object or bouncing off the walls. Hitting undestructible objects and environment does not deplete your durability. Style of an attack or upgrade of the weapon, even different weapon, does not matter - each count as one hit. Every 10th hit against the enemy/object depletes 1 durability. Exception is Tonitrus, which when in self buffed mode, depletes durability at rate of 2 hits. Hitting an enemy in dying animation still counts as hit. Also hitting multiple enemies/destructible objects at once counts as one hit per enemy - hitting 3 enemies at once counts as 3 hits towards durability counter. Shields lose 1 durability every 10th hit. Bounce means when your hit is bounced back off the wall or other objects. Every 5th bounce depletes 1 durability. Not every weapon can be bounced off. Damage reduction when heavily worn. When weapon is at 30% of total durability, it reaches the Risk state and AR is reduced by 30% and when it hits 0% of total durability, weapon is Broken, then AR is reduced by 50%. Loch Shield which has 160 points of durability reaches risk state at 48 Dur. Workshop's Repair: cost of repair depends on the weapon and its upgrade. For Loch Shield it's 2 Blood Echoes per 1 point (values are rounded), full repair costs are 300 Blood Echoes. Loch (/ˈlɒx/) is the Irish and Scottish Gaelic word for a lake which reflects theme: Great volumes of water serve as a bulwark guarding sleep, and an augur of the eldritch Truth.